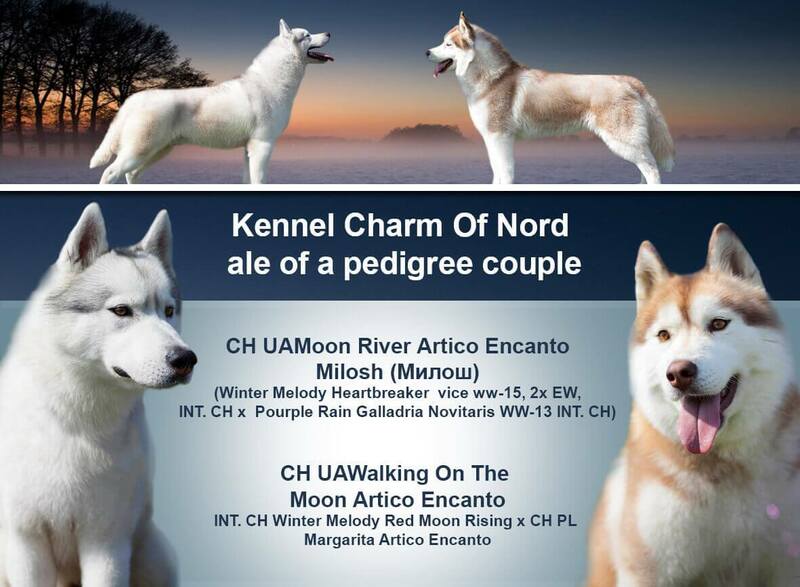 Both have a wonderful show temperament, the correct anatomy of the right proportions and lines, nice, quality heads, beautiful strong movements. 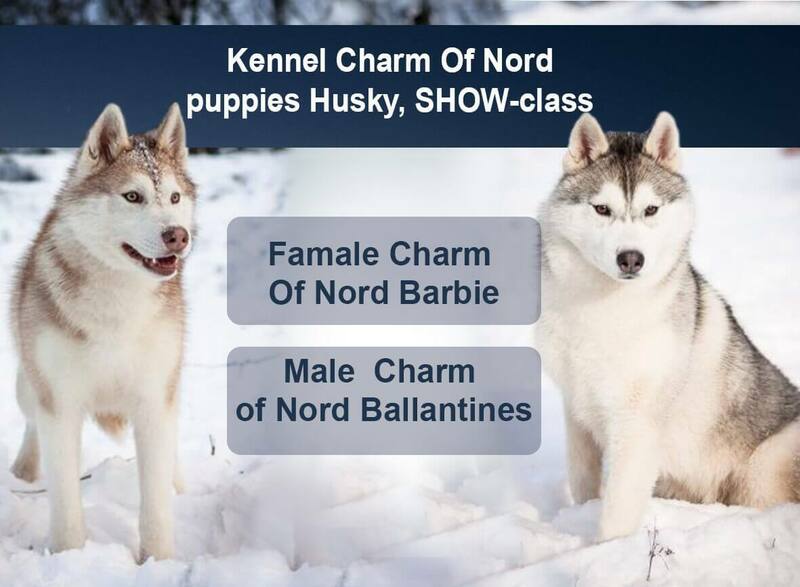 A male verified by progeny gives beautiful anatomically correct puppies. 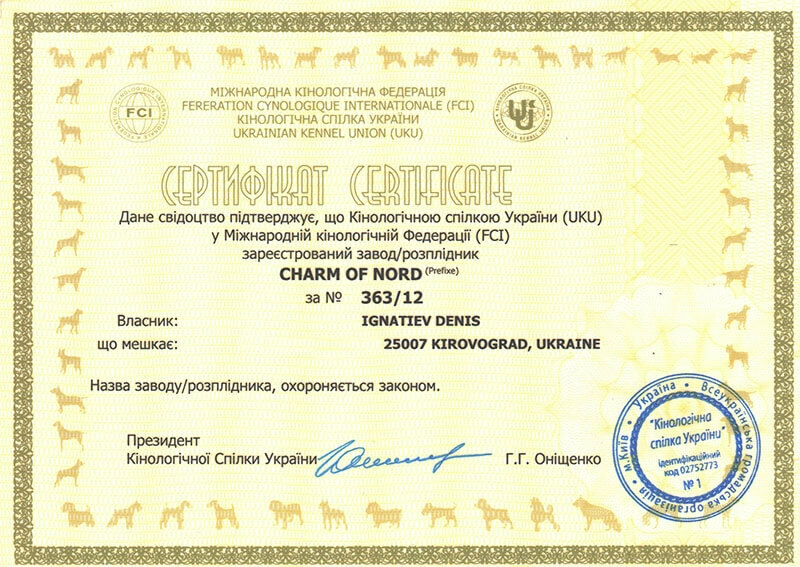 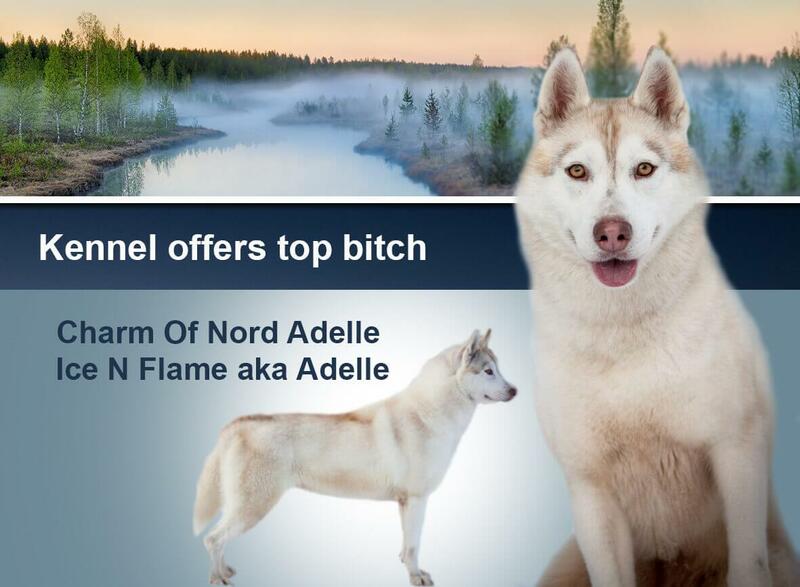 Buying a puppy in the Charm of Nord Kennel, you get a healthy puppy with stable psyche, excellent anatomy and breed temperament from carefully selected couple, which has health tests and Great Show Result.